Nomination of Candidates for the City of Aberdeen. Mr Bannerman's Speech. 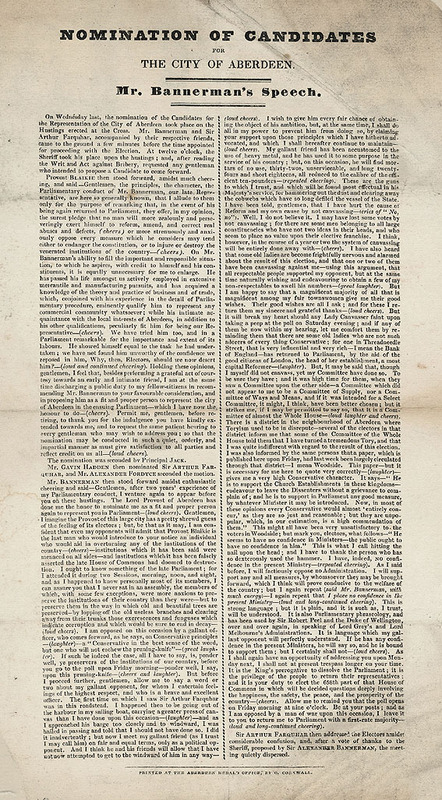 Report of the nomination of candidates for the first election after the Reform Act was passed.